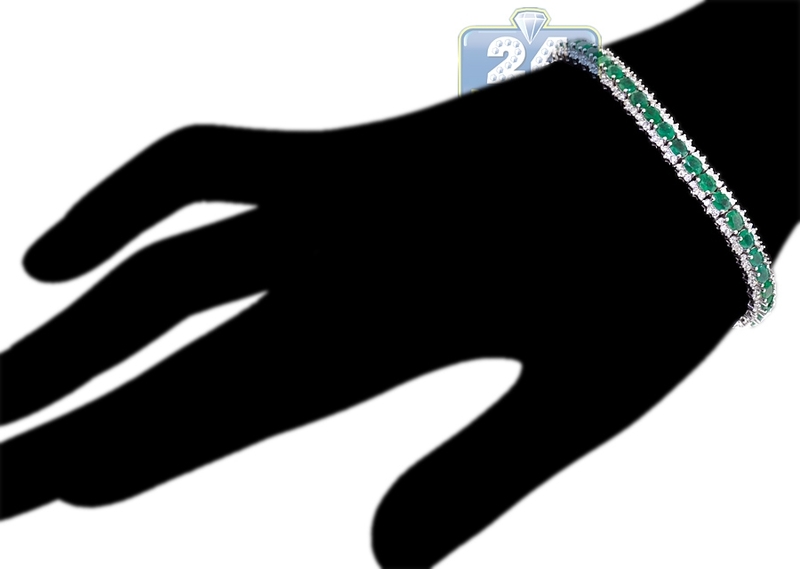 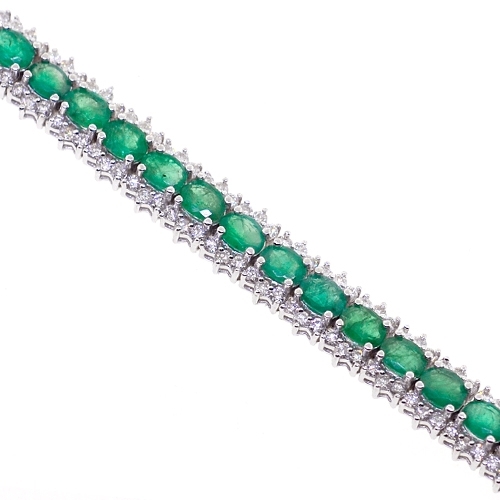 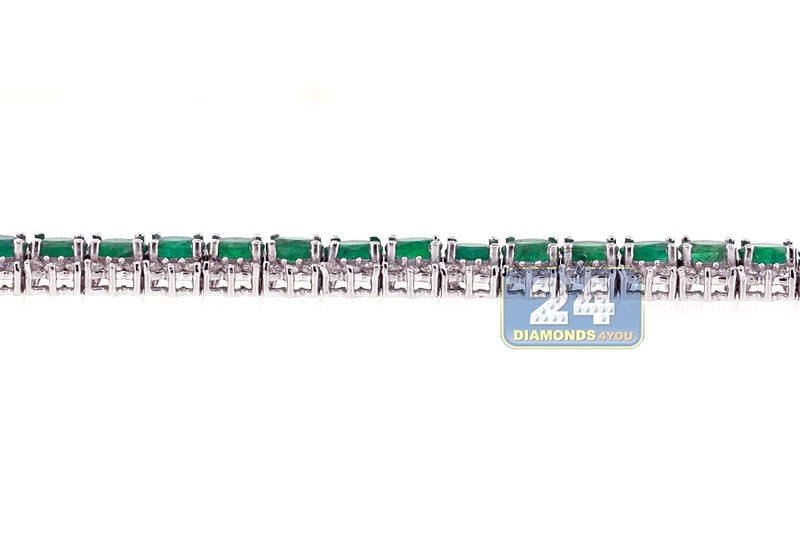 With this adorable emerald and diamond tennis bracelet you will feel like a royalty! 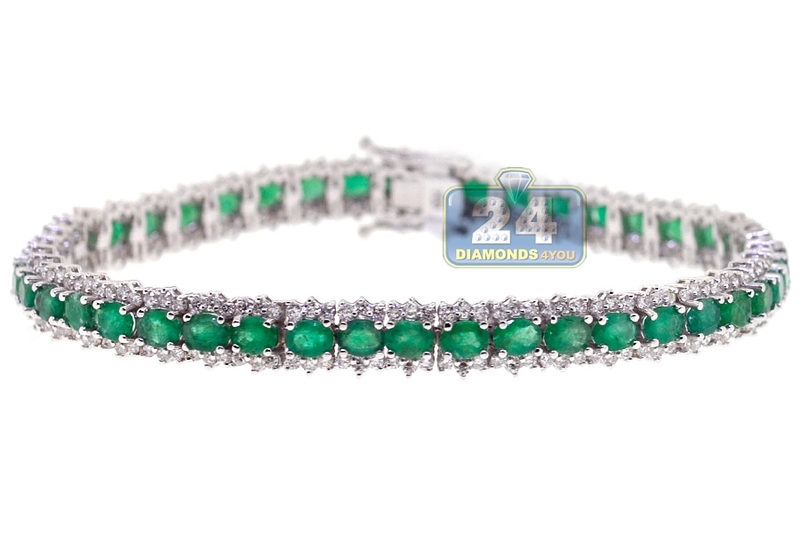 It is handmade of lustrous 18k white gold, and professionally encrusted with 7.60 carats of genuine oval-cut emeralds and 2.93 carats of icy white round brilliant-cut diamonds. 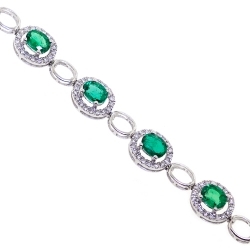 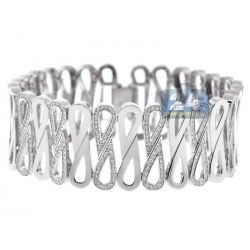 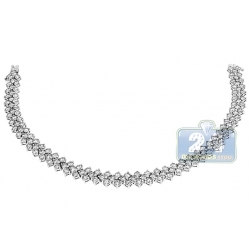 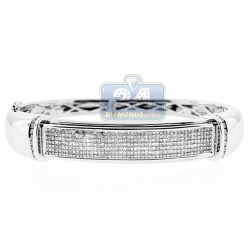 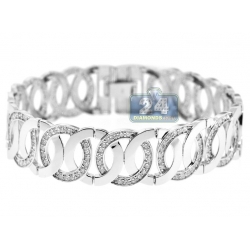 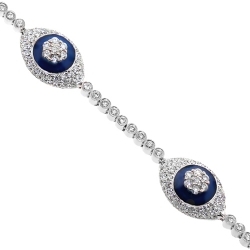 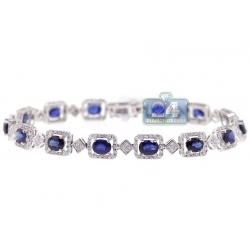 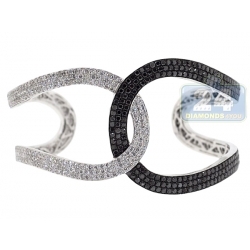 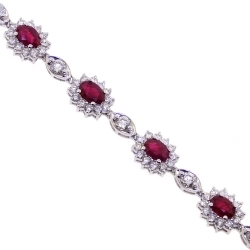 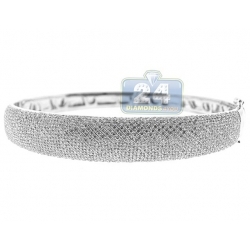 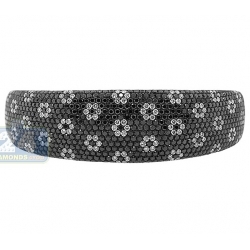 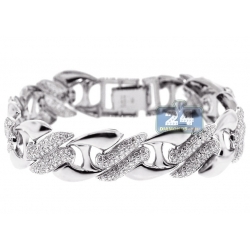 Our women's tennis bracelet measures 7 inches in length and 6.5 mm in width. 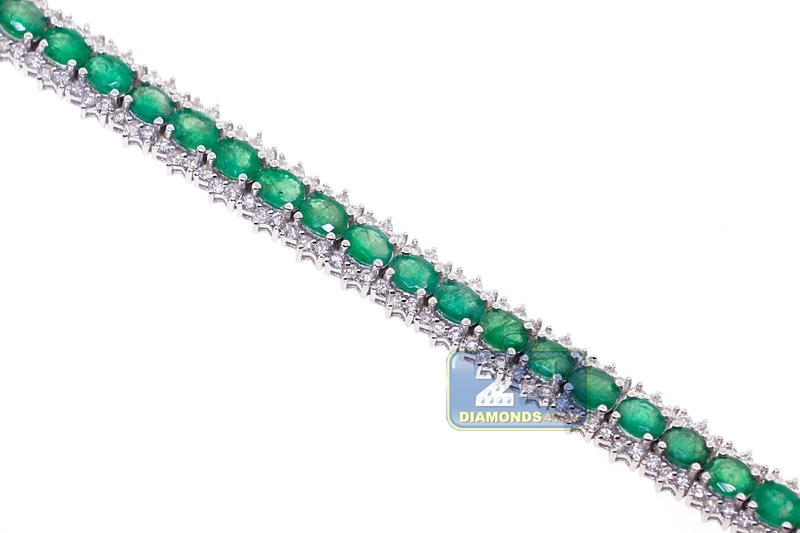 You will be thrilled with glamorous presence of this gemstone wrist bracelet!